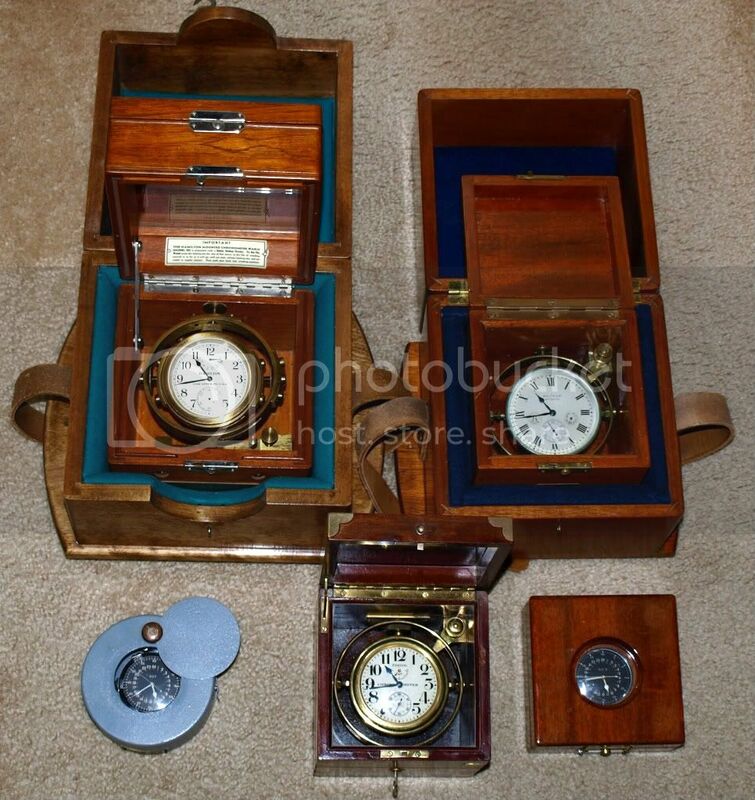 Here are some of my navigation time pieces some for the sea and some for the air. Beautiful. I could quite easily see myself with a shelf full of these. I see you have two GCTs in different cases - is the steel case for the USAAF and the wooden case for the Navy, Mike? All five look like they are in museum quality condition too. The one in the steel canister is a Elgin and the one in the wooden carrying case is a Hamilton.